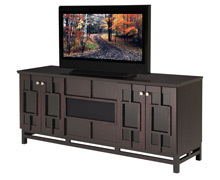 If you're searching for both style and storage in your media and entertainment furniture, look no further. 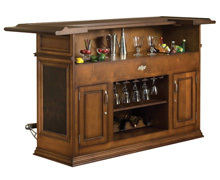 Here at DCGstores.com we have hundreds of types of furniture to meet your needs. Everything from television stands to home theater seating, you are certain to find exactly the right product to fit your needs and match your creative decorating style. We cover a range of designs and construction materials, from ultra-contemporary styling in glass and stainless steel to more rustic and traditional offerings in wood and iron. We're confident that you will be able to locate the perfect piece for your living room, den or media room. 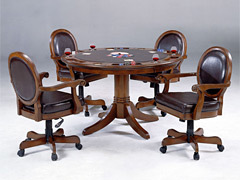 At DCGstores.com, we help to make certain that rounding out your game room is both easy and fun. We offer a hand-picked selection of gorgeous game tables and comfortable game chairs that will allow you to give your poker nights a touch of an upscale feel while remaining both functional and stylish. We carry game tables in both dark and light colored wood finishes to complement existing decor and our gaming seats can be chosen to fit either modern or classic design styles. You can even decide to choose opulent leather game chairs to bring a feel of richness into your game room and cradle your guests in style. Hosting movie night in your media room or den takes on a whole new meaning when your guests settle into luxurious home theater seating. We bring you an expansive selection of this gorgeous seating encased in a range of colors of buttery leather. 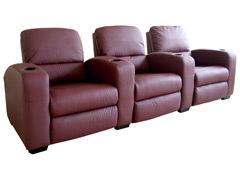 Our home theater chairs feature reclining seats and beverage holders for comfort and function. The only choices left to you are which of these gorgeous seating arrangements best meets your needs. Cradle your guests in style, whether watching the newest releases, cheering on your favorite sports team or engaging in a video game night, these ultra comfortable seats are sure to please. Price – This is probably one of the first things to consider. How much are you looking to spend on your TV stand? TV stands can run anywhere from just under $100 into the thousands depending on style and materials. It's always helpful to pick a budget before you start shopping for entertainment furniture. Materials – There are a diverse selection of materials to consider when you're looking at a TV stand. You'll want to match the rest of your decor when choosing material type. When thinking of materials, aside from style, you'll want to keep things like longevity in mind. 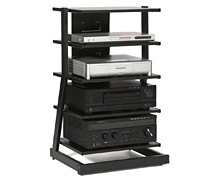 Size – The size of your TV stand is very important as you want to be certain that it can hold and distribute the weight of your television properly. But another consideration is the space in which it will be placed. Measure the area you plan to place the TV stand and watch the dimensions closely to be certain it will fit. Style – Finally we come to style. This is a personal thing and your TV stand should blend with your design style, not clash with it. Luckily, we offer so many choices of media furniture at DCGstores.com that you should be able to locate your perfect match with ease!